We hold expertise in manufacturing, exporting and supplying precision engineered Double Head Book Stitching Machine. It is suitable for stitching & binding functions such as wire stitching of magazines, books, exercise note-books, journals, pamphlets, periodicals, pictorials and catalogues. 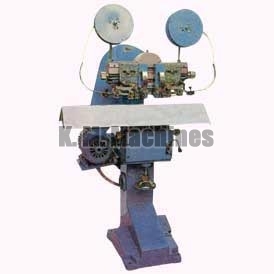 Our Double Head Book Stitching Machine comes with adjustable table are mainly designed for the ease of the customers. It is powered by 1 HP supply and ensures 150 Strokes/ Min. Further, Double Head Book Stitching Machine can be purchased in customized specifications at the best market prices.